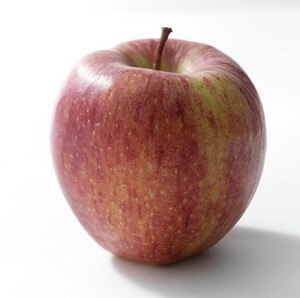 The apple Cameo® is a combination of high sugars and a good level of acidity which give it a unique well-balanced flavour. Its very dense cellular texture makes it a very crisp apple and its flesh is extremely juicy: Cameo® gathers all the qualities to be an excellent eating apple. Cameo® was many times awarded for its taste in Europe: the tastings organized in France, in Italy, in Germany and in England by professionals systematically placed her in number one of their selection. It is also a consumers’ favourite who elected it "Saveur de l’année" (tastiest apple) in 2004 and whose fan club increases every year. Furthermore, the apple Cameo® has an excellent storage potential as well in normal cold store and in controlled atmosphere. The variety is also characterized by a very good shelf life and it is not sensible to manipulations.